This past week I had the chance to get out on Lake Simcoe several times. Simcoe is famous for its lake trout fishing; and it did not disappoint. This lake has been absolutely on fire this year and one technique has stood above the rest, using swimbaits. 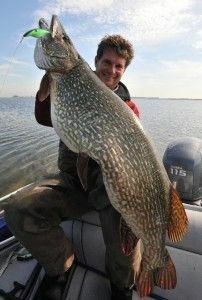 Aside from sight fishing for big northern pike, there probably is no a more exciting way to fish through the ice than getting big lakers to attack a swimbait. 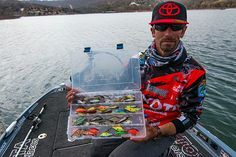 To use a swimbait successfully, you need to be using some kind of electronics, whether it’s standard sonar or a flasher. Not only does it let you know what depth your bait is; it also indicates when there is a fish in the area so you can change the bait’s action accordingly. The technique that worked best for me was using an erratic jigging action all over the bottom half of the water column; in this case it was anywhere from 40-80 feet. When a fish came into view on the sonar I would slow down my jigging to where the bait was just gliding or gently twitching above the fish. 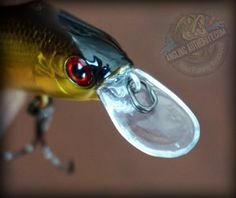 As soon as the Laker starts moving towards the bait, start reeling the swimbait away from the fish and hold on because she’s going to try to hit it. 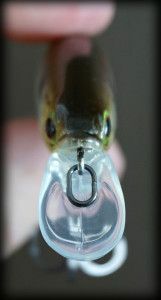 The standard swimbait for lakers on Lake Simcoe is an XZone Swammer. A 4-inch Pearl White Swammer has probably accounted for more trout on Lake Simcoe in the last couple years than any other bait. Sure enough I went out there with as many packs of Swammers as I could fit in my bag, paired up with 3/8 ounce football jigs expecting to put a beating on the lakers. After two days of fishing I had about 25 fish chase my bait up and down the water column but they would not commit. 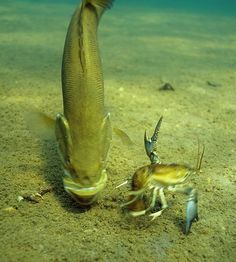 I concluded that since the lake receives so much pressure, these fish have probably seen this exact bait and presentation hundreds of times and I needed to find something different to trigger them to strike. The next day I went out to the local tackle store and found some swimbaits with a different body shape and a glow in the dark chartreuse tail. Along with the new bait, I decided to downsize my set up. 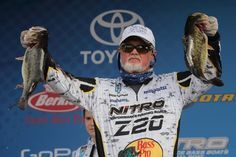 I switched from 12-lb to 8-lb pound fluorocarbon leader and retired my 3/8 oz. football jig in favour of a 1/4 oz. head. My entire set up consisted of a 32” medium heavy action HT Fishing ice rod paired with a Shimano Saros spooled up with 10-lb Power Pro braid. From there, I tied on about 5-ft of Trilene 100% fluorocarbon, finished off with a 1/4 oz. Strike King football jig. The next day on the lake it didn’t take long to realize I made the right changes. I went back to a place where I had marked most of my fish before, and right away I noticed that the fish were chasing the bait harder and faster than my previous days. Within 15 minutes I was hooked into the first laker of the day. Four hours later I was on my way in from one of my best ice fishing days, catching 14 lakers, of which at least 5 or 6 were over 10-lbs, along with a decent 6 -7 lb whitefish. All the fish were released back into the lake. Being able to go out the first day and start catching fish immediately would have saved a lot of frustration and money, but being able to put the pieces together and figure out what the fish want is what it’s is all about.